He has adjudicated guitar competitions at the provincial, national and international levels and is also known for his dynamic style of teaching in masterclasses. Trépanier is a member of the Donkin/Trépanier piano-guitar duo, with his wife Catherine Donkin. Louis has previously taught at both Laurentian University and Cambrian College in Sudbury. 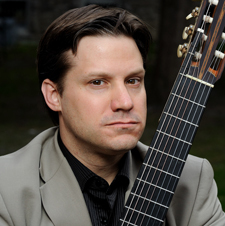 He is currently Coordinator of the Guitar Sector at the University of Ottawa’s School of Music.